The world premiere of Roland Joffé’s new film, takes place in Madrid tonight, March 23. In large part due to a grassroots marketing campaign in Spain, the film has sold out across 360 screens in 300 cinemas this weekend. Joffé himself attended a special screening in Rome on Monday night and talked intimately about the impact of the film and his hope for the message it contained. 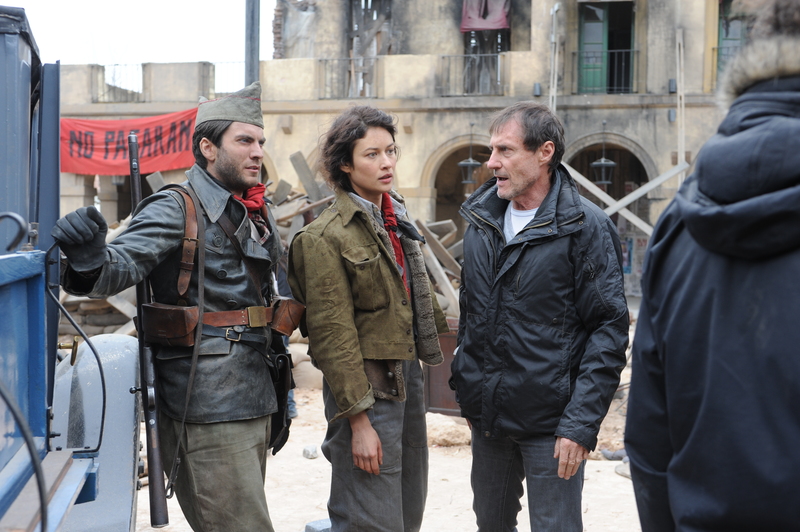 The film spans a period of almost 100 years but is set mainly in the period of the fratricidal Spanish Civil War. Its focus, however, is not the action of the war itself – although there is no shortage of that action in the background to the central drama. That drama revolves around the lives of the two central characters, one of whom is Saint Josemaría Escriva, the other a fictional childhood friend. In essence the film is a study of two human responses to a world in which these two men find themselvs enveloped in hatred, violence and persecution. Joffé spoke to the Roman audience of 150 Vatican officials and others of how in an era of ideological conformity Escriva, the founder of Opus Dei, had the courage to tell people to think for themselves, and like Nelson Mandela in South Africa brought healing to Spain. The Spanish Civil War (1936-39) left half a million dead and continues to divide Spain. In the movie the young Fr Escrivá tells his followers in the newly-created Opus Dei that they must forgive and not take sides – even those who are wrong. The UK based media service, Catholic Voices, reporting on the Rome screening said that among the audience in the North-American College, there were 11 cardinals, eight bishops, 14 monsignori, and 24 ambassadors, as well as representatives from movements such as Focolare and Sant’Egidio as well as Jesuits, Franciscans and Dominicans. Also in the audience were the writer and director Susanna Tamaro and the film composer Ennio Morricone, who composed the theme to one of Joffé’s 1980s epics, The Mission. After the screening, Morricone said: “With this film Roland Joffe confirms his greatness as an intense and profound director of the highest quality”. Tamaro described the film as “powerful, very well filmed, and dramatically very effective”. By choosing to tell the story of opposing paths taken by two childhood friends, Joffé “brings out the importance of freedom which God gave us to try to reduce the power of evil in the world”. Tamaro added that the film had the power “to do great good for the new generations deprived of great figures to admire and emulate”. Joffé told them “it would be wonderful” if There Be Dragons, helped the 21st century to be seen as “the century of reconciliation”, in which “we began once again to discover our innate humanity that exists in all of us” and to heal the wounds of the 20th century wars. Joffé was introduced by the film’s executive producer, Ignacio Gómez-Sancha, who in 2008 left his job as general counsel to the Spanish stock exchange to raise the $40m budget for the film, attracting more than 100 investors from 10 different countries to his private equity fund, Mount Santa Fe. Some of the investors, like Gómez-Sancha, are members of Opus Dei, but the organization itself has had no role in the movie. Joffé, who wrote the script, had complete creative freedom. Among those watching last night was Mgr Luis Clavell, a Spanish priest of Opus Dei who worked closely with St Josemaría in Rome over many years. Mgr Calvell, who spent many hours sharing anecdotes with Joffé when the director was researching the script, said the portrayal of the Opus Dei founder in the fim was “excellent”, capturing the saint’s “strength of character”, as well as his capacity for love and forgiveness. Because St Josemaría was naturally hot-tempered, his capacity for forgiveness was heroic, said Mgr Clavell. He recalled how, after the Spanish Civil War, a taxi driver had told the founder of Opus Dei it was a pity he had not been killed along with other priests. St Josemaría’s reaction was to pay the driver and add a large tip to spend on a gift for his children. Very interesting and enlightening. I look forward to seeing the film, probably soon enough here in Peru. I heard the film comes out in early May in the States! Yeah I heard the film comes out May 6th in the US. Cannot wait to see this film! So excited! My friends and I have heard about the film. It must be very worthwhile to watch. We are many in the Philippines hoping that it be shown here too and soon.